How can we make justice accessible to all? Everyone has the right to justice. However all around the world, people and communities have difficulty getting access to justice. The need to improve access to justice is, therefore, part of the Sustainable Development Goals. During this HagueTalks you will hear personal stories from people all around the world that work with local communities to improve their access to justice. How can we make the right to justice a reality that is experienced by everybody? During this HagueTalks you will hear from journalists and law practitioners about the ways that people and their communities are accessing justice. And how they are dealing with issues such as inheritance, violence, corruption, war crimes and crimes against humanity. Challenges with accessing justice can be found all over the world and certainly also in The Netherlands. What is universal about our needs for justice? And how can we create an accessible juridical system that respects this needs, without losing track of important juridical values such as the right of suspects and accused? Mohamed Konneh is from Sierra Leone. 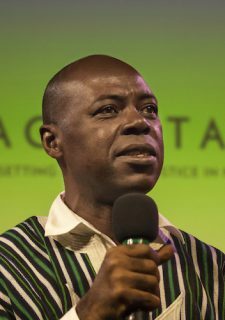 He works for West Africa Democracy Radio and the Sierra Leonean Standard Times Newspaper and is the Editor of the monthly Prison Watch Sierra Leone. He has won numerous National Media Rewards for best reporting, on the topics Court, Crime and Human Rights. 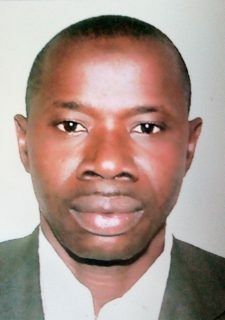 Yusupha Bojang is a Gambian radio journalist, manager of Kaira Nyining Community Radio and serves as the National Coordinator of the Network of Community Radios of The Gambia. He serves as a member of the Media Law Review Committee for the Minister of Information and Communication Infrastructure. Farshida Zafar combines her two fields of interest, Law & Tech. She has initiated and co-designed several practical applications to enhance the accessibility of law with ITC and other emerging technologies. She has been involved with the creation of educational apps, a platform for legal literature (streaming service for books), a brand new part-time law program and a virtual reality courtroom. For all of this she has received a Techionista Tech leader award and a SURF award for change makers in education. Marieke Wierda is a Dutch lawyer, born and raised in Yemen and educated in the UK and the US. Dr. Wierda has 20 years of experience in transitional justice. She worked extensively on transitional justice in Sierra Leone, Uganda, Lebanon, and Afghanistan. 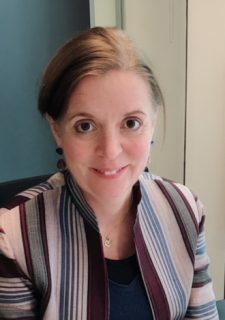 She is the author of many book chapters and articles on international criminal law and transitional justice, including a book on International Criminal Evidence, co-authored with Judge Richard May. Currently she is the rule of law coordinator at the Dutch Ministry for Foreign Affairs. Zainab Malik is the moderator. Zainab is a Pakistani human rights lawyer. She has experience providing legal representation to prisoners on death row, survivors of police torture and Gender-based violence. Zainab is currently working with IDLO, International Development Law Organisation. This HagueTalks is the framework of the visit of ten journalists from West Africa to The Hague. The event is co-organised by Humanity House.